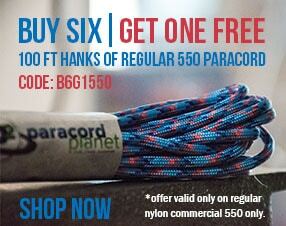 Check out our Top 100 Colors of 550 paracord all at once! 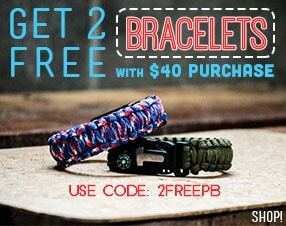 With prices starting at $2.99 + free same day shipping - Paracord Planet is the best paracord shop to buy paracord from. All colors of our quality 100% Made in the USA Paracord comes in 10 foot, 25 foot, 50 foot and 100 foot hanks, or buy in bulk with our 250 foot and 1000 foot spool options. Paracord is outside in the tropical sun and weather. Will see how well it keeps its color. i am very happy with the product and the color is right on. i ordered 250ft. i over estimated the amount i needed so i will have plenty for other projects. Great 550 cord, little thin. Great 550 cord, selection of colors is awesome, just a bit too thin of a cord than I'm used to working with. Still, great buy, works just as well as the cord I used in the military. Not only did I receive my order very quickly, but it was exactly how they listed it on the website. Great product!